I don't know if it is my imagination but I see a cookery show in every other channel these days.Food seems to be the in thing now,to discuss,to argue,to elaborate upon and what not.Some time back,a Malayalam movie released aptly named Salt and Pepper which showed food as a main character which took the story forward.It was a trend which paved way for many such movies to follow. Ustad Hotel is one of the latest ones to follow the trend.People have started taking food seriously,not something which you have to fill up your stomach but something to fill up your senses too. I chose this simple recipe because I wanted to use up the huge quantity of yogurt I had in the fridge and have something to munch on.It truly is a simple cake,full of fresh lemon flavor and a slight crunch of the lemon drizzle icing.We are not big fans of lemon but the flavor is not overpowering and goes well with the cake.The cake didn't brown much so the drizzle is not very evident.Probably a chocolate drizzle should have looked better! The original recipe calls for self-raising flour.I made the substitute following simple changes. To 1 cup of flour add 1 tsp baking powder and 1/4 tsp salt to make 1 cup of self raising flour. Preheat oven to 180C.Grease and flour a 6 cup bundt pan. 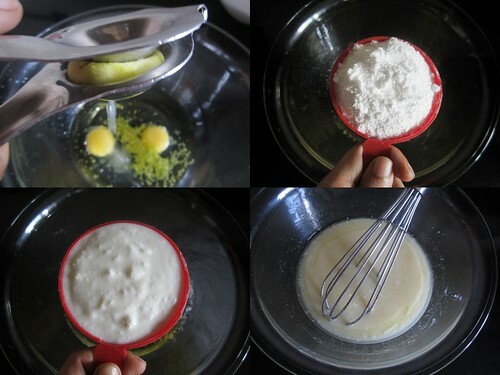 In a big mixing bowl add oil,eggs,lemon zest,juice,caster sugar and yogurt and whisk together. 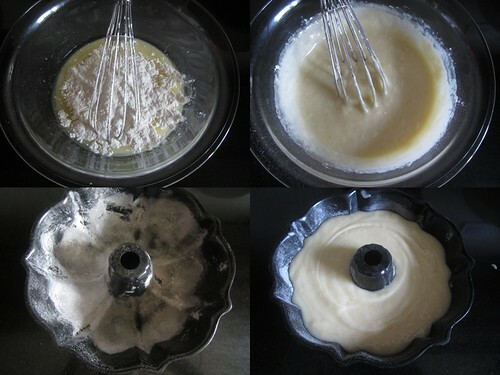 Slowly mix in the flour and beat slowly but swiftly to make a smooth lump-free batter. Pour it into the prepared tin and bake for 30-35 minutes or until a toothpick inserted into the center comes out clean. 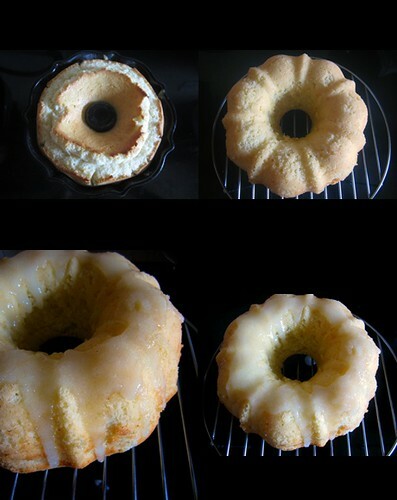 Cool the cake inside the pan on a wire rack till you prepare the icing. 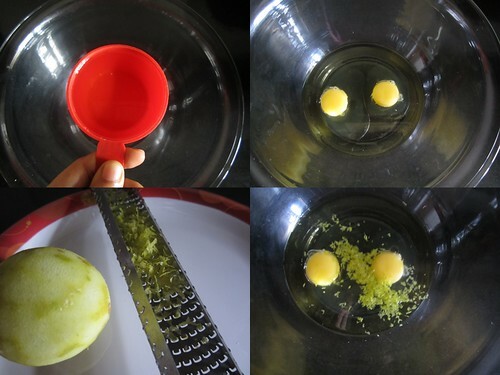 Mix together sugar and lemon juice to get a thick syrup. Unmold the cake on a serving plate and drizzle the syrup all over.Let it cool completely and then cut into thick slices. The cake tastes great plain but I served it with some whole strawberry jam.Perfect tang and a good combination. I love watching Donna Hay's show too, love her gorgeous white kitchen by the sea! The cake looks fantastic, I prefer cakes with oil, they are so much more moist. 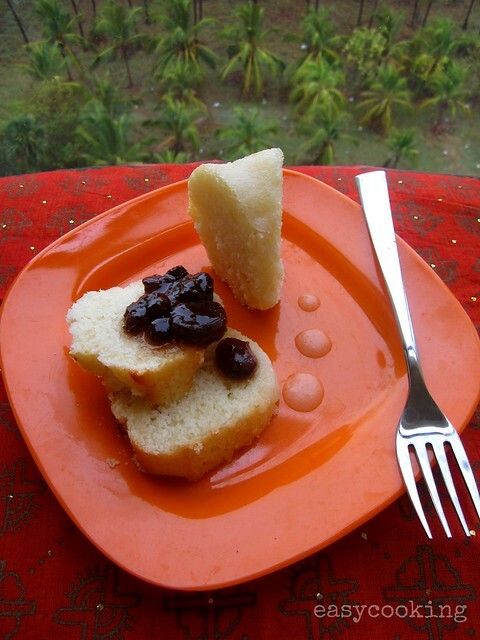 A similar orange yogurt cake is a fav of mine, will surely try this one too! i love donna hay's shows, this cake looks perfect. mmm... I too love Donna hay's show. I love her plain white kitchen and simply love her style of cooking. This cake looks perfect. I loved it. I too love Donna Hay's show. I love her plain white kitchen and her way of cooking. This looks very inviting and perfect. i loved this a lot. 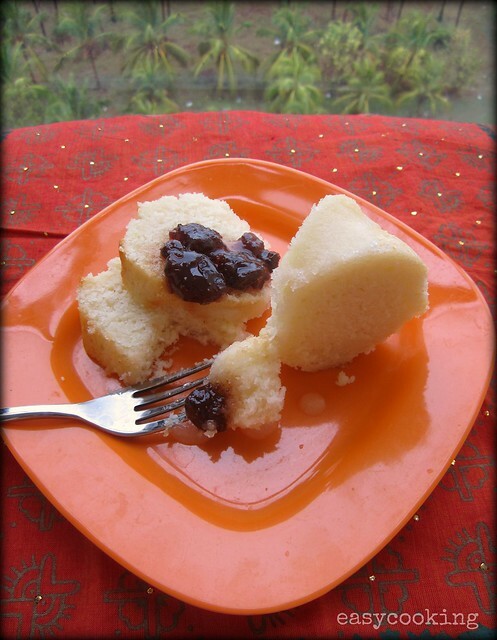 Omg, super spongy and lovely cake..
Nice recipe. Will surely try it. Where did you get that cake pan from.Is it available in "Staines"
Thanks Sugandha.I got this pan through a friend from US.I am not sure if it is available in Staines,you'll get ring molds there though.Try Homecenter Lifestyle shops,they do stock up on such pans. is it one cup of flour or 2? 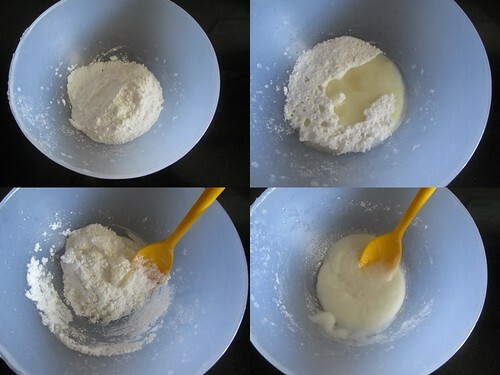 The recipe requires 2 cups of flour.I have shown how to make self-raising flour with 1 cup measurements.You need 2 cups of self raising flour for this recipe. Hi Divya! I tried this recipe last evening and the result is a brilliant cake with lemony freshness and flavour. Thanks so much for this recipe. can u tell me what oil u used for this cake? i am confused....for making self raising flour...u have used 1tsp of baking powder and 1/4tsp of salt..that means for making 2 cups of flour u have used 2tsp of baking powder...n double the amt of salt..and in the ingredients part u have use 2 tsp of baking powder and again salt....so in total there will be 4 tsp of baking powder...will the quantity of baking powder will not be too much for only 2 cups of flour....?n also salt...?pls clear my dout.. The original recipe calls for self raising flour.I have simplified it mentioning how to make srf at home using baking powder and salt.You do not need to add more baking powder and salt than mentioned. Hi eveyone, I made this cake twice and both times it turned out to be a very dense cake. I followed the recipe exactly, please tell me where i was wrong.